Data recently published by WorldData.info placed Singapore as the highest ranking country for average IQ. We decided to have a look at what apps are influencing this, and how the country are implementing mobile technology to advance their intellectual reputation. India Elections 2019: Which apps are keeping voters informed? Starting today, approximately 900 million voters will confront the polls in what is expected to be the world’s largest democtratic exercise - India’s general elections. Exploring Mobile Personalisation - are Apple missing a trick? ‘Personalisation’ has become something of a buzzword for businesses across all kinds of industries. With growing importance being placed on customising the user experience, we wanted to see how this trend has transposed into the mobile world. Just in time for its April IPO, Uber confirmed plans to ‘make an ally out of an enemy’ by buying Dubai-based competitor Careem for $3.1 billion. In August 2017, we provided a complete guide to app store categories - almost 2 years later we are back with an updated version, accounting for any app store changes and new lessons we have learnt. Spanning across 17.1 million km², 2 continents and 11 time zones, it comes as no surprise that Russia's vast size results in a hugely varied and complex climate. But are any apps up to the challenge of providing the Russian people with their much needed weather report? We took a closer look at the data from the country's weather category to find out. It has now been three months since blogging network Tumblr scrubbed its platform of adult content. Here at Priori Data, we’ve been keeping our eyes on the app’s performance before and after the enforcement of ‘Safe Mode’. Food in Italy - who's taking the biggest slice of the mobile market? Earlier this month, Italian food was officially crowned as the world’s favourite cuisine, according to a survey by YouGov. But what food apps are capitalising on the Italian market and their food love affair? What is the World's Favourite Mobile Browser App? As Opera announced that it has added a free, unlimited VPN to its Android browser, we thought it a good time to delve into the most popular mobile browser apps currently on the market. 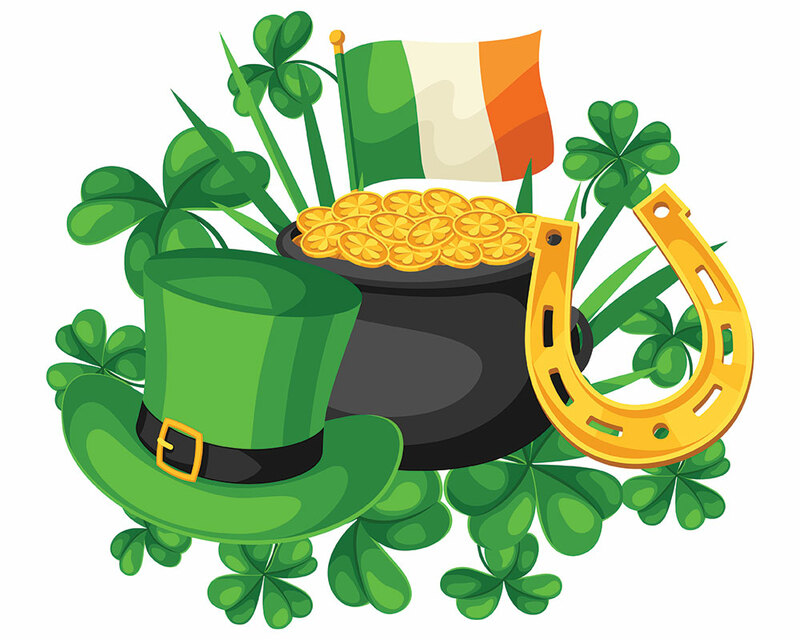 This Sunday, the world turns green for St Patrick’s Day and in honour of this wonderful celebration, we’ve pulled together some trends to present a picture of the Irish app market in 2019. GDC 2019 - Will Google Go Big on Games? This month the Games Developers Conference returns for another year, taking over San Francisco from 18th-22nd March (and when we say ‘taking over’ we’re not joking!). If it feels like just about everyone is meditating, you're not wrong. Meditation and relaxation apps are trending in a big way thanks to an ever-growing body of research suggesting that the practice of ‘staying in the present moment’ can make us more resilient to stress, improve our ability to focus and enhance productivity. What is going on with the Google Play Ranking Algorithm? Will Subscriptions Transform the Mobile Games Market? While subscription services for TV and music have been the norm for several years, in the games segment the business model is still very new, but it is rapidly gaining pace. Amazon, Netflix and Hulu are not just rivals on the app charts. This Sunday, the competition shifts to the red carpet at Hollywood’s most high-profile and glamorous event; the Oscars. MWC Barcelona 2019 - folding phones, 5G and app data intelligence! In only a short space of time, online dating has evolved from a socially strange concept to the norm, openly embraced by individuals of all ages. Thanks to dating apps, you no longer have to wait until you’re at the bar to try out your best pick-up lines on a potential suitor. The likes of Tinder, Plenty of Fish and Badoo enable you to fire out your best lines anywhere, anytime and even to multiple people at once. This February, gaming professionals worldwide will convene in Berlin for the White Nights Conference to discuss the rapidly changing games industry. If you’re going to the show and would like to meet with us, drop us a line. The first coffee/beer (delete as appropriate) is on us! 2019: The Year Of The Celebrity ‘App-ocalypse’? With multimedia being the key to success these days, celebrities are closely connected with tech development. Long gone are the days of regular TV and radio appearances being enough for stars to stay popular. Now, they need to fully adopt all aspects of digital. The appetite for app-based food delivery services has risen significantly in recent years. With tech-savvy consumers continuing to place a premium on breakneck speed and efficiency, more and more restaurants are embracing apps to automate food ordering and delivery operations. Well, it took a while, but the Priori Data event train is rolling again! Last Thursday night we met up with about 50 people from Berlin's amazing mobile community to talk post-install tactics with an all-star speaker list from some of the city's top mobile companies. It was great to catch up with everyone, and a really nice surprise to see some of the people from our very first Conquer The App Store meetup 3 years ago. We were hosted AppsFlyer in their amazing WeWork office, so a big shout out goes to Ben Jeger and the team for their support! Is DAU divided by MAU equal to Retention? Everyone seems to be dropping their 2018 predictions. Even though we haven’t got our crypto-ai-ml-blockchain predictive algorithm quite dialed in yet, we do sit on a lot of valuable data and work with a lot of smart people, which means sometimes we know things. Here are our picks at Priori Data for the trends of 2018. App Store Pre-Orders: New Marketing Opportunity for app publishers? Last week, Apple announced a new feature in the App Store: the ability for users to preorder apps and have them automatically download upon release. This offers app publishers an ability to gauge the potential demand around their application pre-launch, which is a very interesting possibility. It also inevitably brings new marketing opportunities and challenges, including for example an app page optimization strategy specifically dedicated to a pre-order campaign. Over $800 million was raised via ICOs in Q2 2017. Coinbase is the number one ranking app in the App Store. The price of Bitcoin has skyrocketed from $781 to $17,775 in less than a year. The blockchain based economy, whether cryptocurrencies, utility tokens, or tokenized securities, has had a massive year. Late November is a great time of year in Berlin. It rains, it snows, you don’t see the sun more than once a week… you know the drill. So I’ve always wondered how Matt, James, Andrew and Lauren manage to fly out here and put together a top-notch mobile event. Not to mention it’s at the same time as mobile/startup favourite Slush in Helsinki… It’s definitely an impressive feat. There are millions of apps in the mobile market, and getting noticed is hard, especially if you are just starting out, or are part of an industry vertical dominated by established brands. Priori occupies a unique place in the mobile economy as a trusted provider of performance data on all kinds of apps and games, which gives us great insights into new and up-and-coming app and game brands. With the featured partner program we want to do our part in helping some of these great companies get discovered. As we had the honour to be invited to speak at the 6th edition of the AppDays conference in Paris, it was a good opportunity for Priori to get a better sense of what’s going on in the vibrant French mobile scene. Obviously, the Cocorico corner of Priori has thus been mandated to fly from Berlin and spread their “Frenglish” all over the Dock of Paris - Fun fact: this very same venue where Travis Kalanick und Garrett Camp came up with the idea of Uber. The app market is noisy, crowded and unforgiving. How can an Indie app with a small budget stand out? Get up to 50% discount off any base price today Gaining success in the app market has become more and more difficult every year. The days of shooting to the top simply by having a great product are over. In the course of a whirlwind couple of days last week, I hung out with ad tech guys, tracking and attribution players, gaming companies, and big app publishers. Priori Data wants to be the most transparent company in the world of mobile app intelligence. Our sector is complicated and still relatively young. We know it can be difficult to choose which provider you actually want. The more transparent we are, the easier it is to decide whether we’re a good fit for you. Away from the keynote, the App Store was removed from iTunes. What else went under the radar? Ever wondered how the travel industry is being reshaped by mobile? Did you know that the top 5 countries averaging the most time spent on Android apps are all located outside of North America and Europe? Or that for the last couple of years, emerging app markets such as Brazil, Russia, India or Mexico have shown higher growth rates than developed ones? I decided to write this post because a customer reached out to us, annoyed. We’re always looking to improve the accuracy of our data. Look beyond the data – YouTubers are human beings. In the first tutorial, we saw how to create a keyword list via Keyword Ranking. In this tutorial, we will use the section “Keyword Explorer” where we’ll be able to assess the potential for any keyword and get new suggestions, thus identifying new opportunities. In the previous videos, we saw how to create a keyword list via Keyword Ranking and how to finetune it by exploring new keyword ideas via Keyword Explorer. 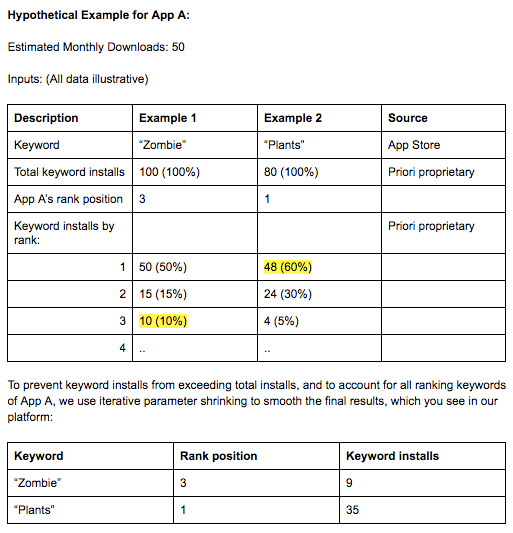 Keyword Intelligence is Priori’s answer to a major challenge app marketers are dealing with: App Store Optimization. With Keyword Intelligence, you'll be able to increase your rankings for keywords that are relevant for your app, improve your visibility in the app stores and thus grow your organic downloads. In this tutorial, we will learn how to effectively run a competitive analysis of several apps in different markets. We will create watchlists to have a full overview and app comparison in order to see performances over time. App Intelligence is the best way to have a full picture of more than 4 million apps in more than 60 countries on both Google Play and the App Store. App Intelligence provides you with ranking, download and revenue data so you can run a comprehensive analysis of any app in the world. It allows App Marketers to optimize their User Acquisition strategy, Executives to keep an eye on their competition and Ad Network to confirm a potential new partnership. In the previous video, we saw how to analyse a market segment in a given app store category. Market Intelligence is one of Priori’s most straightforward yet powerful products. It combines market level data with highly granular filters that allow users to create, explore, benchmark and monitor mobile market segments across all countries and categories in both Google Play and the App Store. If you google "app store optimization strategy" you're going to find a lot of misleading information. We get a lot of questions about app store categories. And there are a lot of things to cover. First, let's get the the basics out the way. When apps are submitted to the stores, they need to be placed in a category. That's where users will find it. Thanks to improved research on retention rates and increasing awareness of the impact of retention on growth, app publishers are ramping up their efforts to keep hard-earned app users. Not long ago user acquisition and growth roles were synonymous in most app companies. Today almost every growth specialist has some element of retention in his/her enumerated responsibilities. If you have a great new app, $100k in mobile user acquisition budget and 12 months to generate $500k of revenue - how do you plan your strategy? At Target Summit Berlin 2017, I held a workshop on how to plan an app expansion strategy based on mobile app market data. Let's walk through it. Game of Thrones Season 7 premiered on Sunday. You might not think that the mobile app market would be affected by that but let's see what happened to HBO Now's download rates. When Search Ads launched, commentators feared dramatically negative effects on organic search. Whilst that is true, the real value of Apple Search Ads for ASO is the visibility it gives into relevant keywords and what users – specifically app users – are really searching for in the stores when they want cool apps. How Do ASO Tools Actually Work? You've probably read a lot about how important App Store Optimization is for your app marketing efforts. You might even have read posts about ASO strategy on this blog. Has There Been a Change to the App Store Algorithm? After investigating some rumours about App Store algorithm changes, we found that there is definitely something going on. Save $2,400 todayMention 'mobile gaming' to somebody and chances are they won't start talking about India. They'll mention big western markets like the USA. Some of them might talk about the huge domestic scenes in Japan and China. People in the know will start and probably end the discussion with Finland - home of Rovio, Supercell, Seriously and many more. What does a Mobile Growth Team do, exactly? Thomas Petit is part of the Growth Team at 8fit, a Berlin based app that acts as your personal trainer. He is one of the most vocal mobile growth specialists out there and has spoken at Applause, various App Promotion Summit events and TargetSummit. I chatted with him about what working in 'growth' means, digging into device level data and holding your own in the Health & Fitness category. On July 1st 2016 we launched Priori Data 2.0. After a couple of years of working with a tiny team and establishing our product, this was our true commercial launch. In the context of an app store listing (or search results for iOS 11), video is the best thing next to trying your app. It might actually be even better, since you control the experience and can both educate users and show them what’s unique about your product. It's mid-June and we have an absolute bumper crop of product updates to announce. (And GIFs to show off). By now you’ve had the chance to read into our thoughts on Lifetime Value (LTV) and why it’s important, as well as how to use LTV to plan your company’s marketing campaigns for your apps. For the final part in this trio of articles, I wanted to cut to the chase and provide some key takeaways on the Do’s and Don’t’s of mobile app marketing. The goal here is to equip you with some industry standards to guide the way you approach marketing your app. As a marketer, at some point in your career you’ll realize that there’s a big difference between being efficient and being effective. Most of the Worldwide Development Conference (WWDC) news in your feeds is probably about new hardware: new iMacs, MacBooks, a bigger iPad and a Amazon Echo competitor called the HomePod. That’s a lot of shiny new kit people will want to queue up for. Naturally, this has dominated tech bloghot takes released in the past day or so. App developers swim in a sea of metrics. In our data driven world there is no shortage of analytics and attribution packages that allow us to drill down into the detail to an incredibly granular level of detail. But how should developers make sense of these, especially when it comes to the decision to invest in paid marketing? Getting your app featured by Apple is one of the best ways to drive traffic and potentially converting into hundreds of thousands of downloads. We've spent the last few weeks collaborating with our pals at MIDiA Research on their latest report - The State of Freemium Games, Q1 2017. LTV: What is it and why is it important? One consistent challenge with freemium apps that marketing specialists will always mention is quantifying their Lifetime Value (LTV). Focusing on lifetime value forces a marketing team to fully grasp this most important figure in unit economics and grant a comprehensive understanding of how an app is performing. Consultancies are making huge gains in the advertising space by trumpeting their data analytic expertise. But there is no reason agencies can’t utilize market data. With ad load reaching capacity, Facebook has to find new sources for mobile growth. Luckily, they already have one. Noah Weiss of Foursquare and Slack fame said it best when he said, “customer acquisition propels an app, but user retention builds a business”. This should resonate with almost all of us in the app economy. Last week, I attended RovioCon in Helsinki. It was super inspiring to attend a conference with no ‘paid for’ agenda and only top notch speakers. A few weeks back we published an article on why live-ops are such a core part of modern mobile games. In essence, live-ops are a way of keeping your game fresh way past the expected boom and bust cycle familiar to mobile games. App store optimization is the biggest thing in the world of app marketing. It's a topic that generates dozens of conferences and many more articles. Every other tweet I see uses #ASO in some way or another. At this point, half our dev team probably dream about ASO. It's everywhere. How Does User Acquisition Work for Secure Messenger Apps? Short answer: not very well. For all the attention that secure messenger apps get from the media and celebrities, users aren’t taking to them very quickly. Health Apps Fit Into Two App Store Categories - Which one works better? Last week I wrote about the troubles that pharmaceutical companies had had with the app market. Healthcare is incredibly complicated (who knew!?). 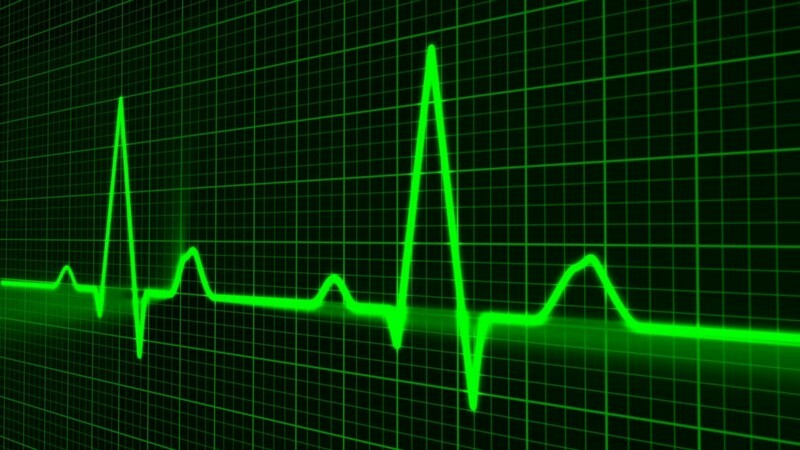 Vast regulatory frameworks, overlapping public and private oversight, conflicts between profit and non-profit incentives - healthcare is not as obvious a candidate for digital disruption as, say, taxis or hotels. Receive daily updates on the apps that interest you the most. 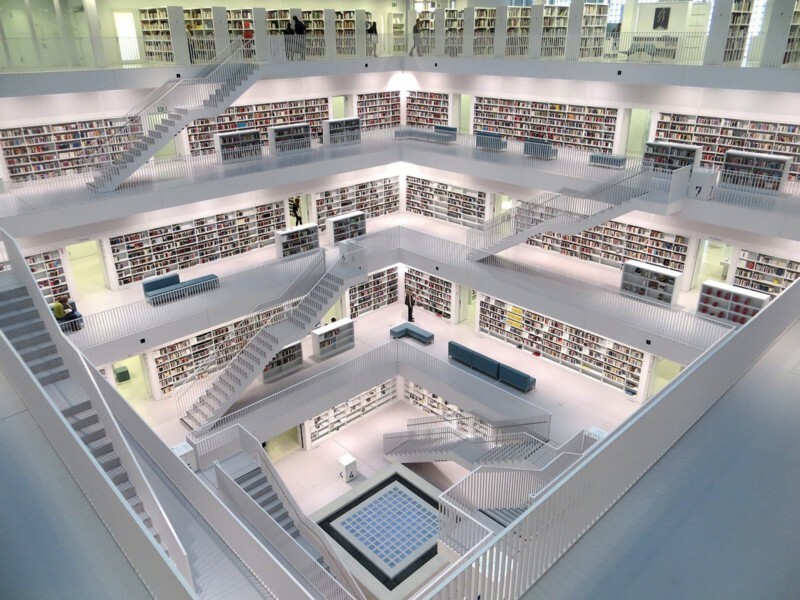 Priori Data started out with a clear focus on competitive intelligence. While we put a lot of energy into data analysis, one suggestion that came back to us again and again was for alerts about significant events for specific apps. Starting today, we are happy to introduce Daily Alerts to solve that. For the past few years, pharmaceutical companies have been producing a lot of apps without a lot of impact. The big players averaged 65 apps each back in 2014 but only four companies generated an active user base over 100,000, which is a lot of effort for scant reward. You spend months and months of hard work putting out a game. First you come up with a great idea. You build a working version and start testing it. Your friends tell you what they like about it, what they hate about it. You listen and make changes, improving and iterating every possible feature.You put out a beta and unearth a catastrophic bug. The office becomes your life. You forget what your friends look like. How Do You Measure Failure In A Mobile Startup? Question: What are the top failed startups of 2016? A lot of people have already given you lists of companies that closed last year. Snapchat and Instagram have been duking it out for years. One is the chosen platform for teenagers and digital native influencers, the other is the Big Fish of image sharing. One went public in an attempt to be the 'new Facebook', the other was bought for $1 billion by Facebook. When Snapchat generates extra revenue with innovative ad features, Instagram is snapping at their heels. 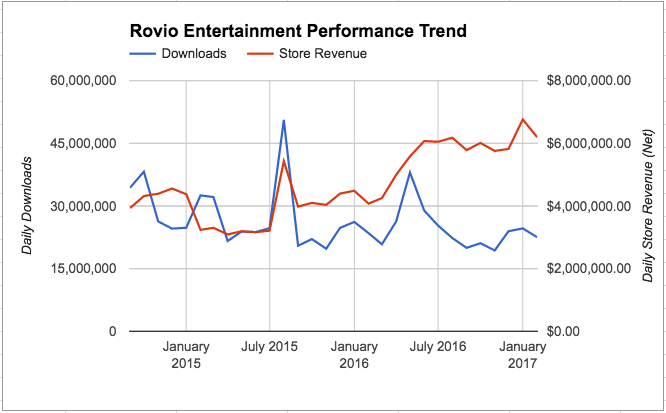 Rovio released their annual results last week, and the numbers surprised some commentators. I won’t go into details of the report — Venture Beat did a good job of that here — but want to dig into what our data shows about their performance, and why that might be the case. In this blog post, we’ll walk you through how hedge funds and equity research departments use Priori Data App Intelligence to monitor and evaluate the performance of individual apps. 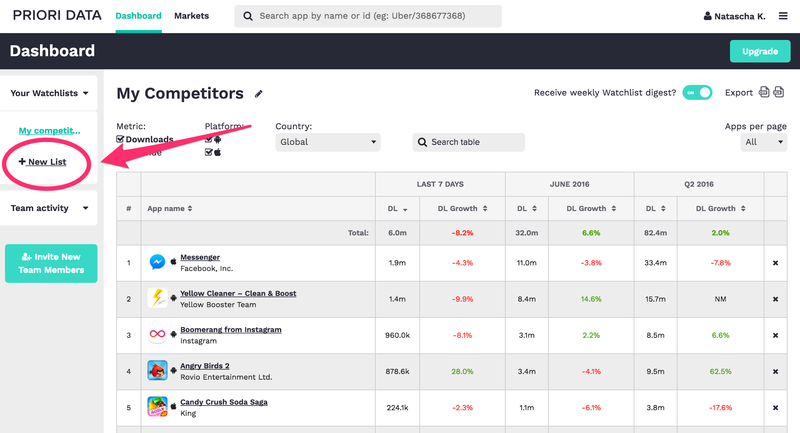 One of the most popular functionalities in the Priori Data platform, used by companies of all sizes and industry verticals, is the Competitive Benchmarking of individual apps. In a previous post, we saw the terrible truth about app success rates and how tough it is to stand out in the app stores. More specifically, we saw how only a few new apps succeed in reaching a comfortable position in the ruthless top charts every week. The Puzzle Games categories are some of the hottest in the stores. Many developers cut their teeth on simple puzzlers, and some become superstars with smash hit puzzle games like Candy Crush Saga, 2048, or the classic Cut The Rope. There are still some seriously heavy hitting publishers focusing on this genre, but we saw newcomers tearing up the charts as well in 2016. We thought we’d dive in and see how the movers and shakers in the market are performing, and how the genre is fairing overall. See the impact of individual keywords and compare them against the competition. As the global app market enters a new phase of growth and innovation there’s no escaping the ‘Terrible Truth” about app marketing. Amid an avalanche of apps search continues to dominate as the de facto way users will discover and download your app. Naturally, ASO (App Store Optimization) is how you can level the playing field, ensuring your app surfaces in relevant searches and search results. Could Facebook Spell Trouble For Snapchat’s IPO? Snapchat is gearing up for its IPO which, if successful, could provide enough capital to finalize the company’s pivot from a trendy social messaging app into a full-fledged mobile platform. Time is of the essence when you’re working in sales, and that’s doubly true when you’re selling in the dynamic industry that is mobile advertising. We’re continuing to bring new functionality into Priori Data, and this week we introduced an ability for all of our users to create multiple watchlists. When you are thinking about launching an app, everything seems rather messy and impossible to fully comprehend. There are just too many questions and components to think about. At least, the App Store fees are pretty straight-forward: Apple charges you $99/year and 30% for every earned penny through your app. For Android it is the same 30% cut, but only a $25 one-time setup fee. Many app developers begin their competitive and market intelligence journeys by analyzing the performance of their apps in the App Store / Google Play Top Charts, but to succeed in today’s competitive app ecosystem they have to go a step further. Question: "What are publicly traded companies that develop apps and benefit from the success of Apple's App Store?" Hi, I’m Patrick, founder of Priori Data an app store intelligence provider. I interpret this question more as an app market research question and less as an ASO question. Venture Capital firms come in many shapes and sizes, some focus on particular geographies, some on specific products and others on a specific stage of the growth phase. Getting app monetization right is not easy. It involves strategies ranging from advertising and subscriptions, to Kanye West’s worst nightmare, in-app purchases, and various types of promotions and special offers. Any such decision can be a turning point for a publisher’s business, especially when they are not sitting on piles of venture capital cash. 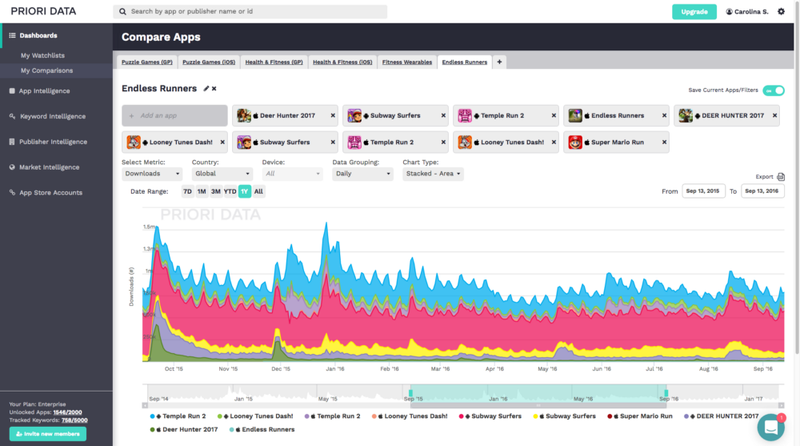 What happens when you take a look at a well-established app in a mature market?